Flying directly from Northern Spain to the island of Madeira my legs felt far from ideal. 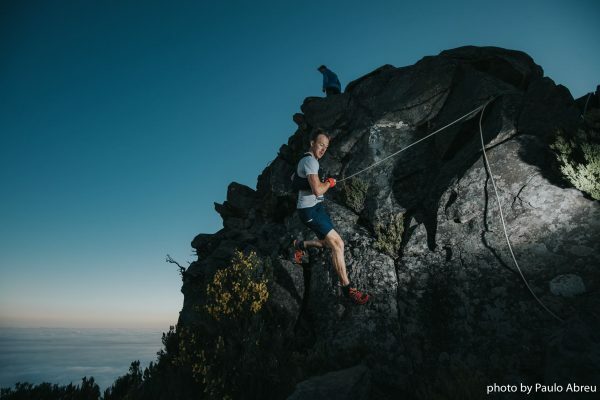 I’d have 5 days before toeing the start line of the Ultra Skymarathon Madeira. At 55km with 4000m of climb, some technical scrambling and even a river running section I felt this course would suit me well, the only question mark would be if could recover enough after Zegama. Taking some easy runs and dips in the ocean every morning I was pleased to see the difference in how my legs felt every day, they were getting better but would it be enough? Come race day I was confident that I could run but couldn’t guess what running for 6 hours would be like. The course starts in the town of Santana climbing directly above the clouds to a height of 1800m. We would then descend from rocky trails, to jungle and finally to the sea in one of the longest continues s descents I have ever experience. From here it was the way back to Santana via an additional 300m and 900m climb with a kilometre of running in a river in-between! 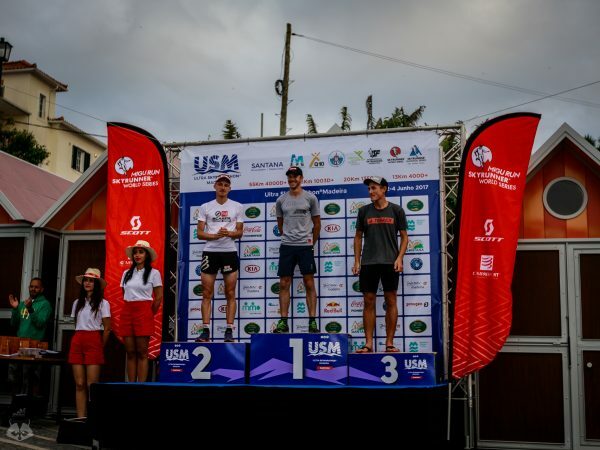 I have often said that I have to be stoked to race well and that’s exactly how I felt leading up to this event. 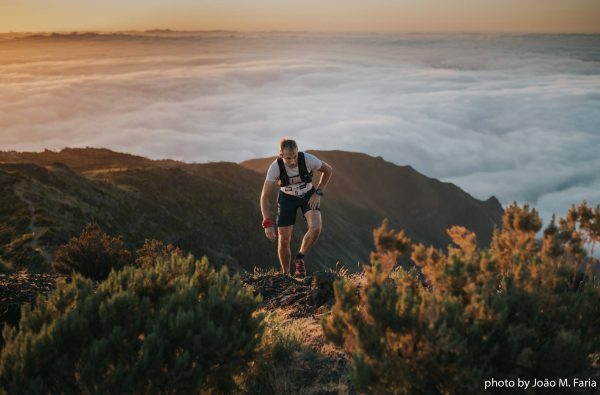 The trails, views and mountains of Madeira are so amazing I couldn’t help but look forward to the event, no matter how it went. 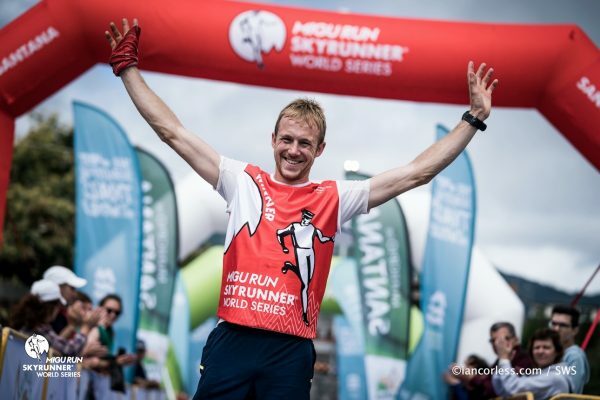 Lessons learnt from last years Skyrunner Extreme World Series events were how to pace a race like this and every ounce of my concentration would be to get the pacing right. I had to run my own race and this meant I probably wouldn’t be leading from the start. The competition here wasn’t set to be anything like in Zegama the week before, in fact, I think I was the only person reckless enough to do both with just 5 days in-between. This was still a Skyrunning Ultra World Series event though and I couldn’t even guess what position I should be happy with. Starting by headlamp at 6am I settled into a comfortable uphill speed trying to ignore the other competitors. By the first top I was in around fifth. Descending a few hundred meters before heading back up I was now in third. By the highest point I was with second and we proceeded to run the majority of the long descent together. Concentrating on feeding and drinking plentiful water I knew I was still in good shape but had no idea what it would be like to start going up again. After some 2 hours of descending I hit the sea and was now in second with a lead over third. I had been as much as 2 minutes behind but now heard the gap was down to 50 seconds. Rounding the corner I could see first on the second switchback of the ascent. I gave him a little wave and he tentatively waved back. The chase was on and by the top I was 10m behind him. Passing him in the river I tried to look strong but probably just looked like I was enjoying the cool water more than anything else. I had been preparing myself to push harder on this last ascent but now felt my initial effort levels would still build me a lead, so I settled back into steady climbing mode in what was now the heat of late morning. Still running well but feeling the effects of the last 5 hours I reached the top and started trying to turn my legs on the flat 5km before the 4km of descent and the finish. I finally crossed the line after 5hours 45minutes, nearly 15minutes under the course record and with a 10-minute buffer to second. The pacing was always going to be important but I couldn’t quite believe how well I managed. It seems having been Skyracing for the past 3 years now, the experience is proving just as much a tool as being a good runner. Madeira and this race was as a whole an amazing experience. I couldn’t imagine a better running holiday destination and to race here was truly magical. Running above the clouds in this race is a feeling I won’t be forgetting in a hurry. A great way to finish off a month of race efforts! Congratulations for you amazing victory!